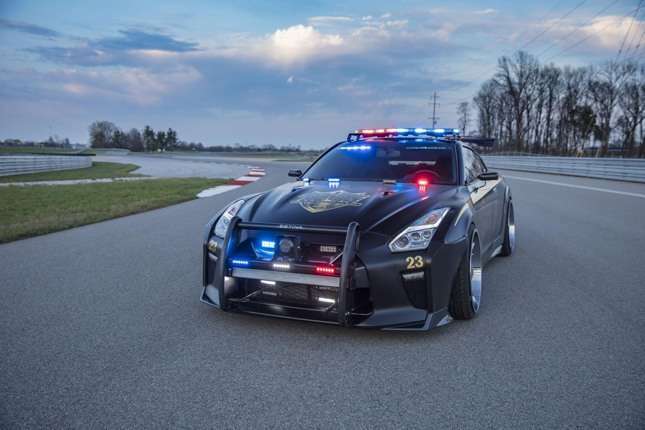 What would Godzilla look like in a police uniform? Well, that rather mighty and light-y car above is as good a hint as any. 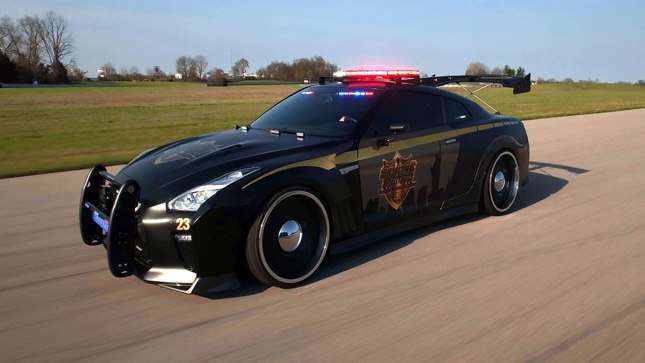 As you can see, it’s a Nissan GT-R cop car, and it has instantly earned itself a place on TG’s list of police cars we wouldn’t mind being pulled over by. 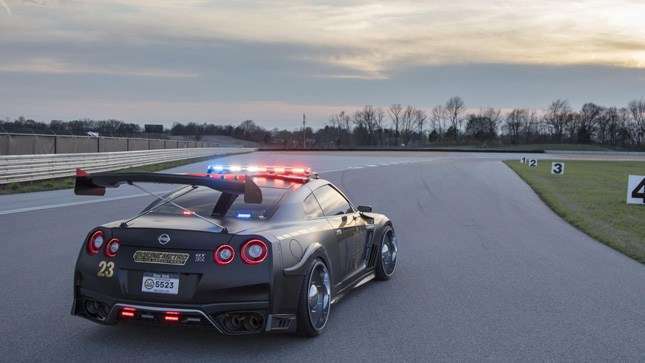 Unlike the legendary unicorn R34 Skyline cop car in Japan, this certain R35 GT-R isn’t set to go on the beat anytime soon. 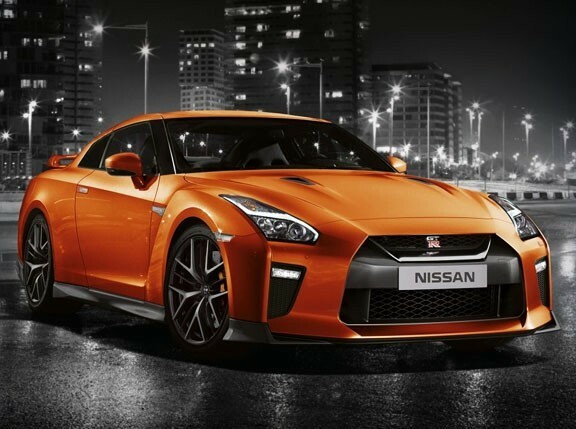 Instead, it’s a one-off show car from Nissan for the upcoming New York motor show. 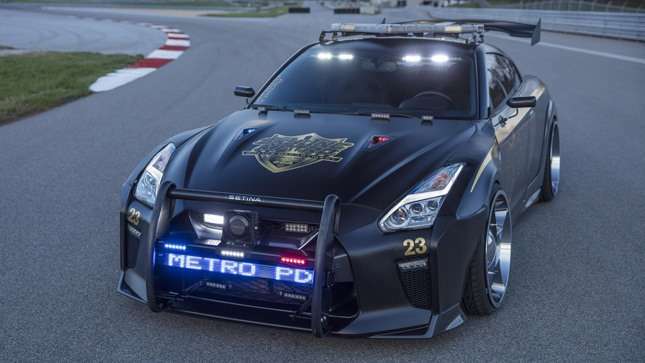 However, it does have bull bars, lots of lights, and a scrolling LED bar in the front to pull help people over (or reel off Biggie Smalls lyrics at an outdoor karaoke party), so count us interested. Based on the latest and greatest 2017 GT-R, the only mechanical tweakage has been the addition of new, aftermarket coilover suspension to slam it to the ground. But with a twin-turbo V6 possessing 562hp and 637Nm attached to an unbelievably effective four-wheel-drive system, you’ll still need to be driving something pretty special to outrun it. 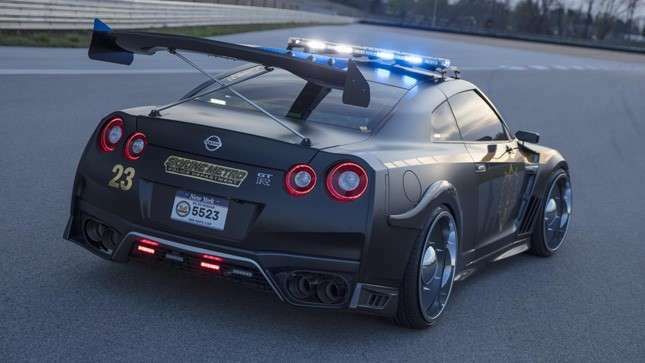 With a carbon fiber widebody kit all round, humongous carbon rear wing that drips backwards off the roof, tinted windows, and hunks of metal attached to the front, you don’t want to get in the way of this beast. We’re not sure about those wheels, though. But we won't point it out to the cops, no sir.